If you can sit and eat a peaceful evening meal at home with your family without the phone ringing off the hook from telemarketers, you have the Telephone Consumer Protection Act to thank. It was signed into law in 1991 by President George H.W. Bush, and it regulates the conduct of telephone solicitors and telemarketers. The TCPA restricts the use of automatic dialing systems, artificial or pre-recorded voice messages received by cell phones and residential phone lines without the prior expressed consent of the cell phone user. When companies ignore these rules, however, you have options to make them stop. Paulson & Nace, PLLC can put an end to bothersome and illegal telephone calls by protecting your rights under the Telephone Consumer Protection Act. When you need a Washington, D.C. consumer protection lawyer who can help you take back control of your life, we are prepared to act on your behalf. Anyone making a solicitation call to your home who refuses to give their name, the name of the organization they work for and a telephone number or address where that person can be reached. Market research, polling calls, calls from tax-exempt, non-profit groups to residential phones are permitted; however, the callers must follow the rules. Auto-dialed or pre-recorded, non-emergency call to wireless phones are forbidden without prior consent. The TCPA also provides a private right of action to individuals who receive calls in violation of the TCPA, and imposes statutory penalties between $500 and $1500 per violation by the marketer, plus other damages including attorneys’ fees. There are now more than 221 million phone numbers in the registry, however, complaints to the FTC and the FCC were around 4 million in 2013. Half of those complaints were about robocalls. At Paulson & Nace, we see these calls are more than a dinner time annoyance: they are a blatant violation of your rights and your privacy. When your requests are ignored and you continue to be harassed by telemarketers or companies with other reasons behind their incessant calling, our privacy protection department can help. You have the right not to be harassed in your own home. 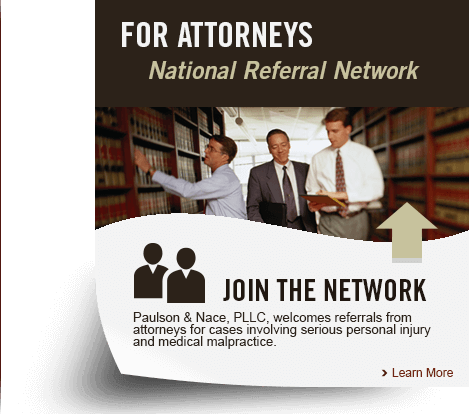 Paulson & Nace, PLLC can help protect that right. If you are the victim of constant harassment by telemarketers, please call 202-930-0292 or fill out our contact form to schedule a consultation at our Washington, D.C.-based office.